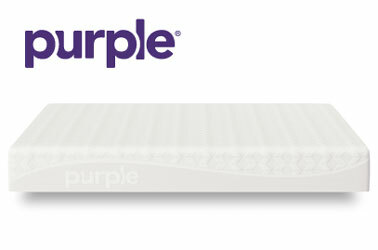 Purple vs. Loom & Leaf Mattress Comparison - What to Pick in 2019? Which do you prefer? A modernized twist on a classic or a brand new material developed by rocket scientists? 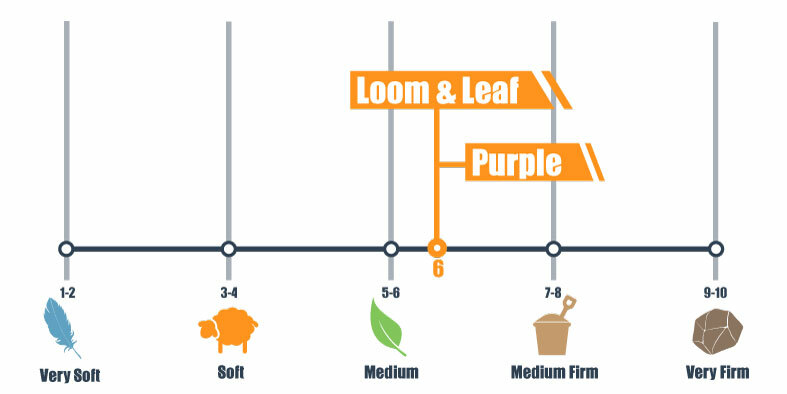 Whether you choose traditional or cutting-edge, our comparison of the Loom & Leaf and Purple should lay out all the details to help you compare the experiences and decide. Saatva’s memory bed aims to bring luxury to the online space at a more affordable price, but the flagship bed from Purple has captured the country’s imagination with a Goldilocks and Three Bears ad campaign. If you’re left with questions at the end of this article, you may find the specifics you’re looking for in our in-depth reviews. Saatva delivers this 12-inch all-foam brand full-size, and your purchase includes installation in your bedroom and the removal of your old mattress. The tightly stretched quilted cover is made from organic cotton and forms a plush surface. The top layer cradles your shape with a 2-inch structure that is convoluted so that air channels running across it let hot air flow and travel out of the mattress. Closest to the top there is also a panel of gel that helps you to keep cool, as well as gel dispersed through the foam for added temperature control. The second layer’s 2.5 inches of high-density memory foam is exceptionally durable and offers deeper level contouring. The third layer transitions to the supportive base with a loft pad made from foam that is slightly firmer than layers above. 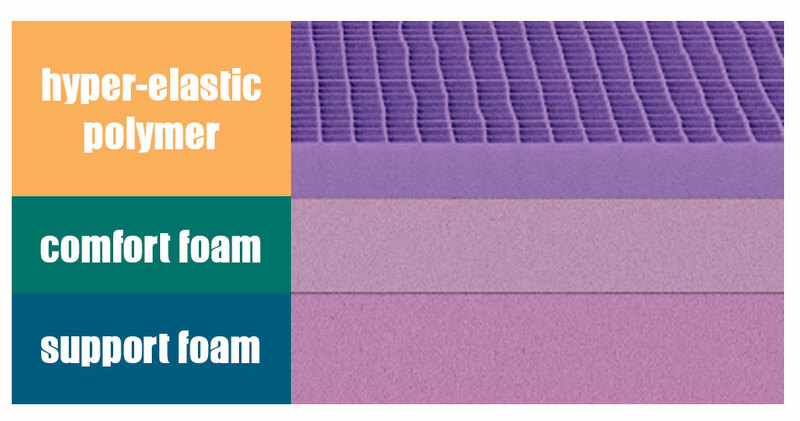 The base layer’s 5.5 inches ground the bed with dense poly foam for spine aligning support. Purple comes compressed into a cylindrical bag for ease of transport upstairs and into your bedroom. This 9.5-inch construction mixes a proprietary polymer with a foam base, and it is covered with a stretchy polyester blend. The top layer is what the brand is known for, a Hyper-Elastic Polymer™ poured and molded into a 2-inch grid shape that stands firm for support but buckles under your curves to remove pressure. This was designed to provide a very versatile blend of spine-alignment and comfort. The next layer transitions to the support system, which is constructed with 3.25-inch thick foam that provides additional comfort. The base layer provides the bulk of the bed’s support and stability using a dense 4.5-inch piece of foam. When comparing firmness, Loom & Leaf’s Relaxed Firm scored similarly to Purple, and we’d put both on our scale at a 6. With 10 as the firmest, a 6 settles both constructions into the Medium-Firm end of the spectrum that many gravitate towards for its versatile blend of comfort and support that works well with most body shapes and sleep positions. Both beds also have an all-foam base, but after that, the similarities come to an end. Lying down either bed provides a distinct experience. Responsiveness, bounce, and temperature should all feel different. 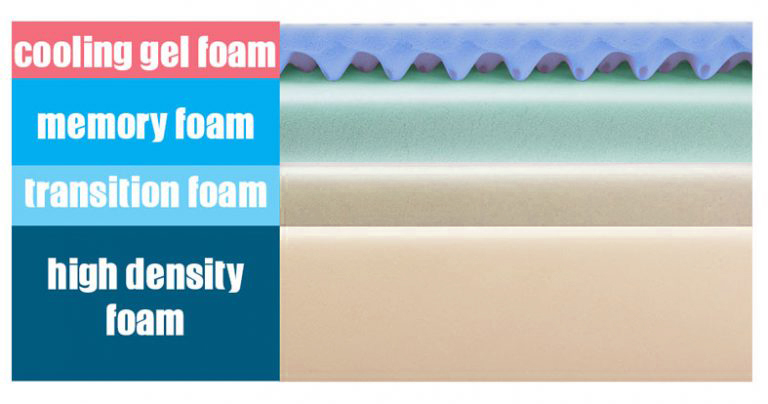 L&L is definitely more of a classic experience of memory foam that feels firm when you first lie down on it but grow softer as your body heat activates the foam beneath and the materials begin to cradle your shape and relieve pressure. The tendency of the foam to retain heat is offset by convolutions in the structure towards the surface and with the addition of gel. By comparison, Purple will probably feel different from any bed you’ve ever experienced, because it is! The elastic grid reacts quickly to pressure, compressing flat under higher concentrations of weight while still remaining firm enough to stand supportive your lumbar and waist. Regardless of sleep position, you should feel that this bed conforms to your shape exactly and shouldn’t experience any pressure points or overheating because the grid is temperature neutral. Most body types and sleep positions should feel well accommodated in Purple, which was designed to be a universal feel, and L&L lovers can have their pick of two different firmnesses depending on their shape and preference. Exclusive stomach sleepers may prefer the Firm, but side sleepers and combination sleepers will probably be most satisfied with the Luxury Firm. Loom & Leaf’s cover is the key to its gentle cradle, and because it is so tightly stretched, you shouldn’t find your body dips too far into the foams or make it feel like you can reposition when you feel the urge. Because memory foams absorb vibration and slowly conform to your shape, this mattress is not going to have a lot of bounce. Purple’s sinkage depends a lot on how your body is shaped and where you carry your weight. Curvier people may sink in more and straighter figures may sink less into this innovative new bedding. There’s also a moderate bounce and quick response time with this choice that should make repositioning a snap. Not much works better than memory foam at trapping motion at the source and preventing it from rattling through the bed and disturbing a partner. L&L works extremely well here due to its high volume of quality memory material, but Purple should not be discounted, as it also has a foam base. This should absorb most typical motion transfer we associate with normal tossing and turning despite the bed’s bounce. Part of the advantage of a brand that doesn’t roll pack their products is they have the choice of using materials that are a little more compression resistant, and this gives L&L a slight edge here over Purple, which performs as expected for a boxed brand. This may or may not be important to you, but it doesn’t hurt to consider it if you are someone who sleeps close to the edge or you like to sit on the edge to get dressed. Should I Buy Loom & Leaf or Purple? If you’re looking for a Medium-Firm bed that cradles your body and supports your spine, both of these beds should deliver what you need to sleep blissfully without undue pressure points. However there are some key differences that might attract you in one direction or another, so let’s lay them out. Gently cradling memory foam. There’s nothing wrong with tradition, especially one that has been revamped to add cooling features and minimize sinkage. Either firmness should deliver a cradle that melts your pressure without making you stuck or hot. A more eco-friendly sleep. This brand makes an effort to use more organic textiles and is built with more sustainable materials, as a portion of the foams are bio-based. Affordable luxury. There are many high-quality materials that come with this brand along with its luxury delivery service that take a lot of the hassle away from a new mattress purchase. Keeping their business online, however, has really helped them keep a lid on costs. Innovative materials. If you’re tired of the same old remixes and want to try out something new, this brand offers a cool new experience that may be what you have been waiting for. A more temperature neutral sleep. An advantage of this polymer comfort system is its ability to disperse heat. By keeping the surface at a more neutral temperature point, this brand reduces the likelihood you’ll wake up sweaty. Added versatility. This approach to bed building looks to provide consistent comfort across a spectrum of different sizes and body builds in whatever sleep position the individual prefers. This could be a real bonus if you and your partner are struggling to agree on a mattress feel. What are your priorities when you’re bed shopping? Are you a light sleeper who demands high-end motion isolation and exceptionally strong edges? Do you prefer a little bounce in your bed from a material that keeps a little cooler at night? Either way you lean, you should be well pleased with one of these choices. Still can’t decide? That’s no problem because remember we do have in-depth reviews which may add a couple of more details to your pro and con list so that you can make up your mind. 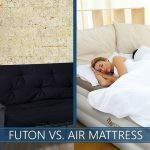 Comparing Futon vs. an Air Bed - Which One Should You Pick?